“Work never killed anyone,” my mother used to tell me. No doubt her motivation was to get me to clean my room and finish the household chores; but basically she was right. Oh sure, overwork is harmful, and dangerous work might cut your life short, and distasteful work that you passionately detest could very well reduce your life span. But work, in general, is anything but harmful. Work keeps you active physically and mentally, provides purpose and meaning to your life – and yes, can even extend your life – especially if you really love what you do. When you are doing work or engaged in activities that you love, you are not cynical, irritable, and impatient. People will want to be around you because of your positive attitude and happy disposition. When you are unhappy in your work, it will spill over into your relationships with your spouse, family and friends. Enjoy what you are doing, and you will recover from sickness quicker and are at less risk of long term illness and incapacity. You may also take less medication and use fewer medical services. You will have more energy. You may even increase your longevity. The most common time for a heart attack is on a Monday morning so if you are retired from full-time employment, in effect you have eliminated Monday mornings, and the concomitant stress of commitments, deadlines and busyness have been reduced if not eliminated. And if you didn’t find your job or career fulfilling, you are no longer in danger of stress-related illnesses, both physical and emotional, that might have occurred while doing work you did not enjoy. Your immune system is compromised if you are not happy, and you are more susceptible to physical illnesses. On the other hand, working part-time after official retirement, whether paid or unpaid, is good for our health and well-being, and helps us to build confidence and self-esteem. 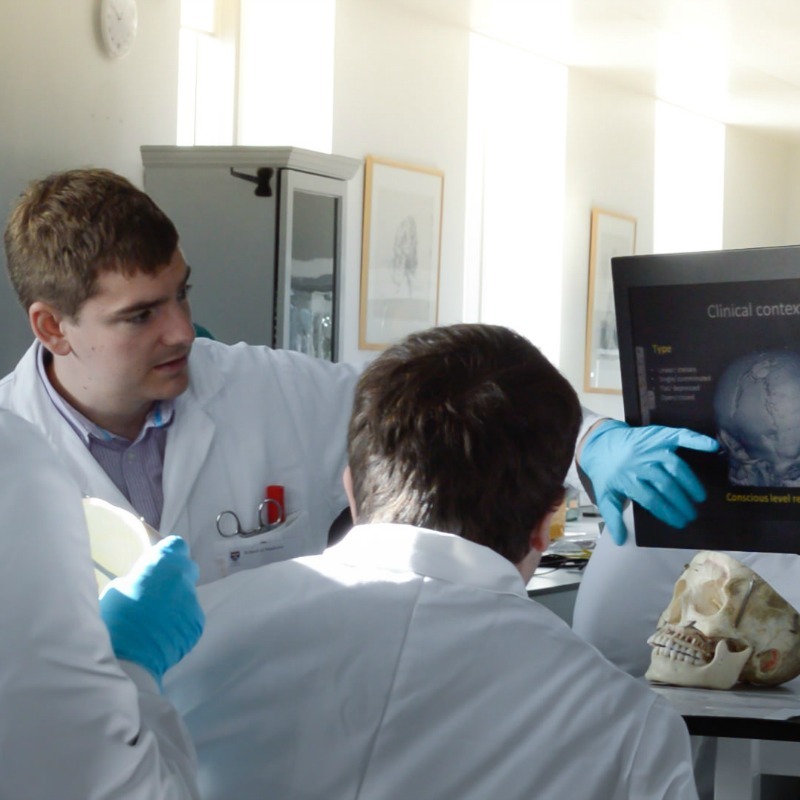 It provides a challenge and gives us a way to continue to develop and learn. It gives us a sense of purpose, pride, identity and personal achievement, enables us to socialise, build contacts, and in many cases provides us with additional money to support ourselves and explore other interests. People who continue to work tend to enjoy happier and healthier lives than those who retire completely. You don’t have to do the same kind of work. You can choose to be self-employed or work at your garden or expand on a current hobby or even take up golf or become a full-time student – if you can stretch the word “work” to cover those activities. The important thing is to retire to something, not just from something. Otherwise you may spend your days watching TV or hunched over your computer or wandering around the house wondering what to do with yourself. Being out of “work” can have a negative impact on your health and well-being. Volunteering is even better. In 1999, for instance, scientists tracked 2025 Californians aged 55 and older, for five years and found that those who volunteered for two or more organizations were 63% less likely to die during the study than those who didn’t volunteer. And those who volunteered for only one organization lowered their mortality rate by 26%. There appears to be a definite link between giving and volunteering and happiness, and another link between happiness and health and longevity. Dr. Lissa Rankin, in her 2013 book, Mind over medicine, agrees that unhappy people are less likely to eat well, exercise, and enjoy healthy sleep patterns, but insists there is more to it than that. She goes on to describe the “nun study”, which gave the opportunity to follow nuns in a controlled environment for the balance of their lives. 90% of the most cheerful nuns were still alive at age 84, compared to only 34% of the least cheerful. Work itself never killed anyone. But if your heart isn’t in it, it could lead to serious problems. Enjoy your job or get one you really love. And when you retire, don’t scrap work completely. It can be a life saver – especially in the form of volunteering. 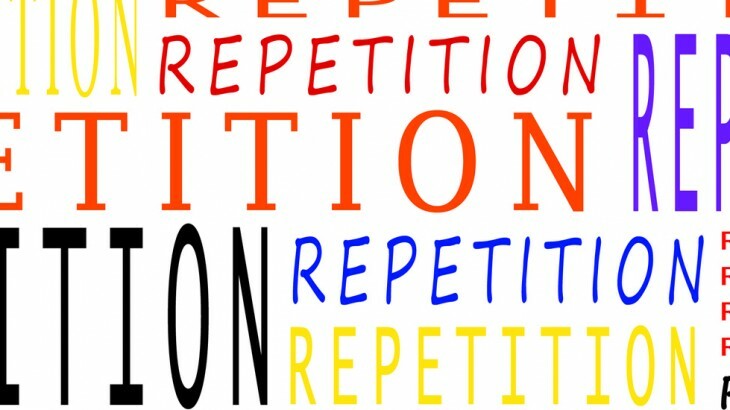 There are many advantages of repetition – whether it is committing a body of knowledge to memory or developing skills such as baseball or golf. In fact a highly touted book is termed the process “the 10,000 hour rule,” explaining that 10,000 hours of practice can make you an expert at almost anything. That’s how you can develop into a computer whiz or star basketball player. Your brain likes to take the path of least resistance, so you should be careful what habits you allow it to develop. For instance, if you repetitively say “yes” to others’ requests because you don’t want to disappoint them or feel bad by saying “no,” you could eventually build a habit of saying “yes” without really thinking through the impact of doing so. 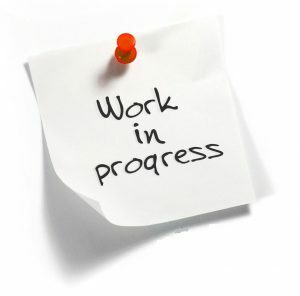 This could disrupt your own schedule, delay an important project or even force you to abandon a personal activity. 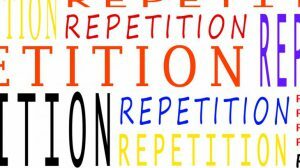 Repetition of thought and/or action could be beneficial depending on its use. I can hardly see any disadvantage in memorizing people’s names or in strengthening a skill through repetition. But in other areas it might be wise to keep an open mind, follow research as well as reason, and be willing to change when the situation calls for it. Sometimes referred to as” habits of the mind”, a person’s “executive skills” are those brain-based skills required to execute tasks – that is, getting organized, planning, initiating work, staying on task, controlling impulses, regulating emotions, and being adaptable and resilient. These skills primarily reside in the prefrontal cortex, that part of the brain that helps you manage complex problems, goals and self-control. We are all born with executive skills; but they take about twenty years to fully develop. The particular skill that you would probably need most in order to determine which activities would lend themselves to productive habits as opposed to harmful ones would be metacognition. It is one of twelve executive skills identified in the book, Work Your Strengths, by Richard Guare, Peg Dawson and Chuck Martin. Metacognition is the ability to observe yourself in a situation and make changes so you’re better able to solve problems, build relationships and succeed in life. If you can see a situation objectively and evaluate how things are going, you are strong in this skill. But if you don’t think through the possible results of your decisions, tend to make quick decisions, often repeat the same mistakes, and don’t think through long-term consequences, you are weak in this skill. Metacognition is not an easy skill to develop because we have to step outside of ourselves — and our subjective thoughts, habits and biases — to look at each situation objectively. As David DiSalvo says in his book, Brain change, we have to “think about our thinking,” Although the prefrontal cortex is responsible for higher-order thinking and reasoning, multiple brain areas are involved in metacognition as well as in other executive skills. We all have memories from the past – many unconscious ones — that influence how we think, feel, and react to different situations and behaviors. With a strong metacognition skill you are able to actively examine each situation on its own merit while resisting the impulse to react involuntarily. By doing so you can more easily adapt to change, make better decisions and become more creative and successful. Since our brain is malleable, we can train ourselves to improve our metacognition; but it takes a conscious effort to reject unconscious and false beliefs and reasoning. The brain is more flexible than most people realize. Through practice you can strengthen any skill, and maintain conscious control of your thinking. You can’t stop thoughts and feelings from popping into your mind; but you can question their validity. I choose to view the mind as a separate entity that can control the brain. The brain is a computer that will never be duplicated in its complexity and amazing functionality. But the mind is who you are, and the brain is at your disposal. But it doesn’t come with a user’s manual, except for the findings of the neuroscientists, and you must learn how to operate it yourself. And just as we can be controlled by technology instead of the other way around, we can be controlled by our brain if we don’t take charge. You must do your own programming and updates. You must service your brain regularly with proper diet, exercise and mental challenges to keep it in good working order. Have a questioning attitude. Read. Continue with lifelong learning. Maintain an active social life. Never compromise on sleep. Manage stress. And question your own thinking so you don’t feed it faulty information. Remember the old GIGO acronym – garbage in, garbage out. Keeping our brains sharp will make sure we neither become creatures of habit nor unduly influenced by others. We maintain our uniqueness. Strengthening all twelve of our executive skills is discussed in my eBook, A brain’s eye view of time management: Strengthening your executive skills, published by Bookboon.com. The greening of my life – and results to date. 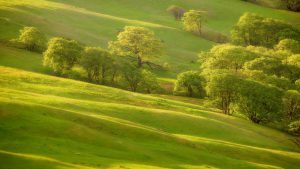 I have been periodically updating my readers on my personal experiences with a greener, more active, and yes – more productive life. “Productive” does not necessarily relate to work or business. 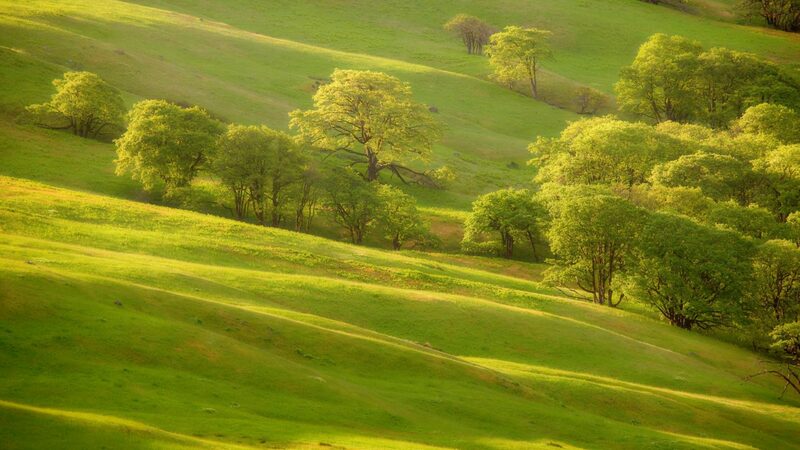 A person is productive when he or she receives maximum value from life with minimum input. Minimum input does not refer to sloth; but to the fact that you don’t have to invest all your money, energy and personal resources to yield a happy, healthy, useful and purposeful life – even in your latter years. This particular personal journey started several years ago when I discovered the power of plants, trees and nature in general, along with social relationships and lifestyle factors, to positively impact productivity, health and well-being. Until then I didn’t realize that plants and trees act as vacuum cleaners removing toxins and pollution from the air or that friendships impacted longevity or that our minds could frequently cure diseases. The more I studied the importance of adequate sleep, exercise and the environment in which we work and live, the more changes I made to the way I work and live. Living and working in the Toronto area limited those changes, but I originally reported on the impact of increasing sleep from 6 to 7 hours a night, walking regularly, moving my home office to the solarium where I was exposed to natural light, working at coffee shops, and my attempt at “growing” artificial plants on my balcony. Basically the results were an increase in personal energy and productivity resulting in greater output (mainly in my writing) and a general feeling of well-being. A year or so ago, when I actually moved to the country (Sussex, New Brunswick) and worked in my home office overlooking a small park, surrounded myself with the natural environment, took up fishing in trout streams, picking wild blueberries and cranberries in season – and joined several service organizations and volunteer groups, the impact of my original city changes outlined above became more evident. My blood pressure has dropped 10 points. (The doctor actually eliminated one blood pressure medication) The psoriasis that persisted on my ankles in spite of creams etc. vanished (at least for the past eight months) and the arthritis in my hands, although never serious, disappeared altogether. For sure, I am more productive because the value I derive from life is increasing, while input (such as paying about one-third of the money for rent, spending less than one-third of the time in traffic, and spending far less energy writing and dreaming up things to write about, is decreasing. I will continue to periodically write more about this little adventure of mine (and will include some of the research that seems to lend credibility to my claims) in future blog articles. Meanwhile, I will try to keep on the “time management” track as much as possible. But as I mentioned in my e-book, “An introduction to holistic time management,” published by Bookboon.com, the greatest time saver of all is to live a longer, healthier, happier, and more productive and fulfilling life.